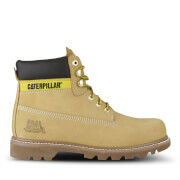 Men's lace up boots from Wrangler. 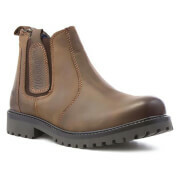 Hand crafted in Portugal from premium leather, the 'Yuma' boots showcase a sturdy design with a rounded toe, six eyelet lace up fastening and durable, welted rubber sole with excellent grip. 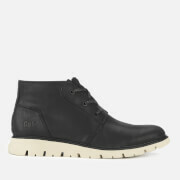 For comfort, the boots are fitted with a padded collar and tongue. Complete with double stitch detail and a pull loop to the tongue for entry assistance. Subtle branding throughout.